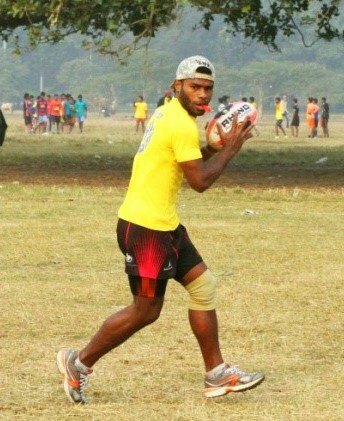 Talking Rugby Futures: as part of our series to bring out the stories of the young people impacted by the Jungle Crows Foundation today we talk to Jim about his journey and experiences. I am from Fiji and came to live in India to complete my higher education. In Fiji, people are crazy about rugby, similar to the way Indians feel for cricket, so we start playing rugby from a very young age. Interestingly, if we don’t have a rugby ball to play with – we use bottles, coconuts, or random objects to enjoy the game…we just love the sport and can’t stop playing. I got involved with competitive rugby at the age of 9. At first, I started playing in my village, and then went on to play at higher levels – high-school and state. In the first year of my secondary school I got selected to represent the school in various rugby tournaments. I would normally play with the older boys, and was also the captain of the under-16 and under-17 team. And, I played club rugby till I left for India. I came to India through a scholarship program, where students from less-developed nations are selected to travel to different countries for higher education. I went to Pune to study. Over there I joined a local rugby team, and started training with them. Later a friend told me about rugby being played in Kolkata; that’s when I started travelling to Kolkata. I really love this game! It’s a physical one and I’ve been playing it since I was a kid. What I really appreciate about rugby is its awesome and unique ethos – we have enemies on the field who can be smashed or attacked, but off-field we are the best of mates. What have you learnt in India? 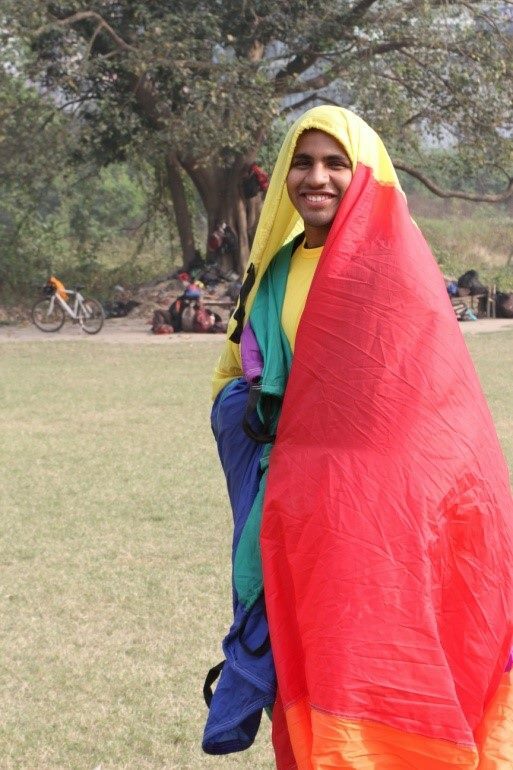 Living in India has been quite an experience, and very different from the way I lived in Fiji. I’ve become more independent and I get to enjoy life over here. But when I was in Pune, my main focus was on studies; so all I would do was sleep-eat-study-exercise, and never had much activity initially. 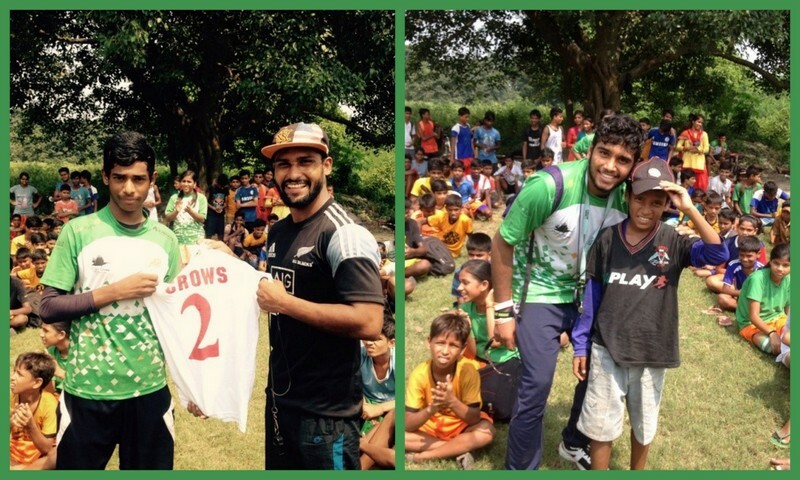 It’s when I got introduced to Jungle Crows that I learnt about giving back to the society – this is important; and there’s much more rugby training now! Comparing India to Fiji, India has very few ruggers and is not doing well in this sport (as compared to Fiji). What is your view on this matter? Fijians are passionate about rugby. Everyone out there will play and know about it. In fact, you don’t have to teach rugby to a child; it comes naturally to us. It’s not the same in India. Out here, cricket and football are far more popular, and we don’t see the same love and obsession for rugby…it’s there in Crows though and getting all the players into the community side works really well. Means we are not just rugby players but mini social workers also, gives a good feeling. In Fiji we have prize money and a good player can make a living from the sport, there is nothing like this in India. Maybe, if there are more sponsors and funds to support the India players, then the situation will change. How can this condition be improved? Firstly and most importantly, the passion for rugby should be present. Once people are passionate, they will naturally go out and play the game. We should also start at the grass-root level. In Fiji, we have so many tournaments, right from under-9s to under-19s, village and state tournaments, and then there is regular coaching. 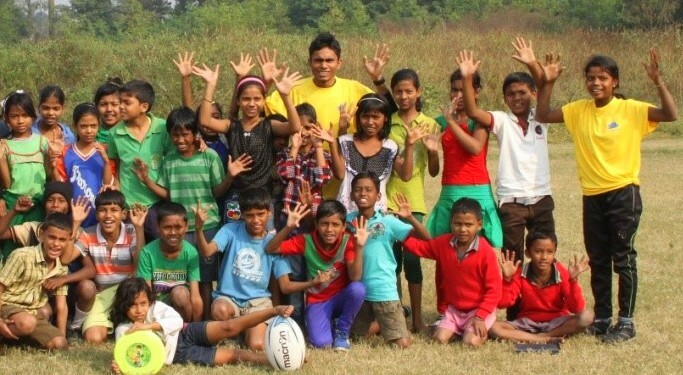 What Jungle Crows and Khelo Rugby are doing, more such projects should be implemented to encourage children. So, first the easier versions of rugby, like tag, should be taught and then gradually the physical game should be introduced. Plus, India Rugby should also concentrate on better opportunities for players like playing abroad or bringing in Coaches. This way they can promote the sport and also ensure better opportunities to the young players. Further, rugby should be promoted more and in a better fashion in India to attract more attention. I went to one tournament and the posters and signs showed American Gridiron Football players but this was for rugby, the sports have only an egg shaped ball in common. Was sad to see. Coming back to rugby, who has been your role model? My father has always been my inspiration. He too played rugby and had represented the state. What is your most cherished rugby moment? There are several such moments. But, I will share the most recent one – winning the Centenary Cup in October (2015). The boys had been training and working very hard for it, also we had near misses in the last few tournaments. So, this victory means a lot to us. What about the embarrassing one? It’s an incident from back home; there was a big rugby tournament between the high-schools. I went to a renowned rugby all-boys school, but for two straight years we lost in the Quarter finals, which was very disappointing. 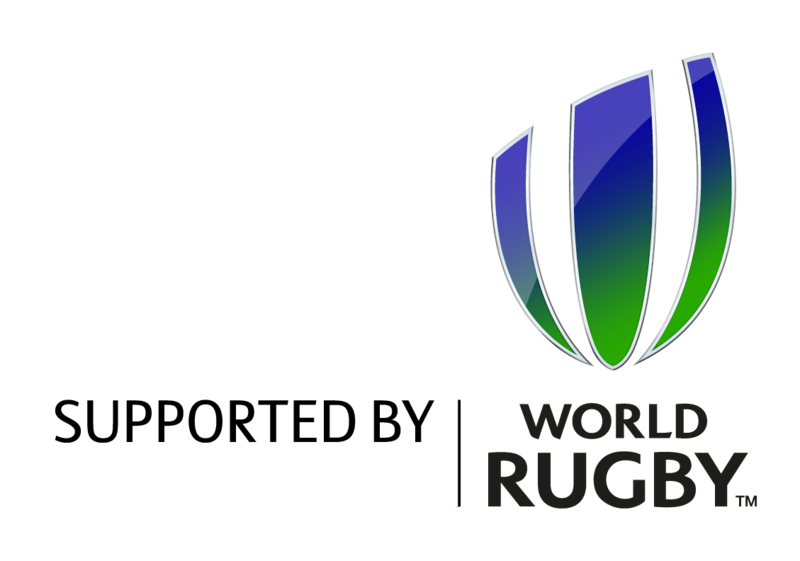 After you return to Fiji will you stay connected with Jungle Crows and Khelo Rugby? I definitely want to stay connected! 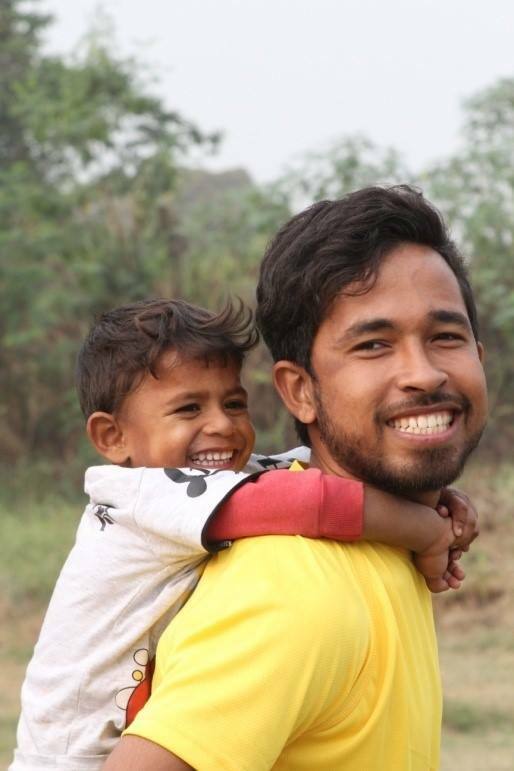 I have seen the work and have also been to the Khelo communities for coaching. I want to come back and help the club and children associated with it. The best way to do so is by raising funds, brining in new and more children and help in building the program, and finally, by coaching. The work with the kids is great, just building up for their brighter future is amazing and with our rugby what could be better. What advice would you give to a new child who comes to you for coaching? I would tell them a little about rugby, and how to pass, the rules, and the basic idea. But, there’s one thing I will tell them is what my coach would tell me, “Take the ball, run, and forget about your life.’’ This is why every kid should play to be able to have those times when all the pressure can be lifted. Growing up can be tough. Who do you think is the player-to-watch-out-for in Jungle Crows? The present younger lot has many good players. Sukumar , Amit and Akash are great with the game. If you look at them, they are small or haven’t got the big build some think is required for rugby, but they have worked extremely hard to become sure and confident players. Finally, if you could give a nasty tackle to anybody, who would it be? It will be Ajay Singh, he is a great friend and won’t mind if I tackle him. Another person will be Shuvomoy. He is the laziest person in Crows, so this tackle is just to wake him up and make him focus on the task ahead. 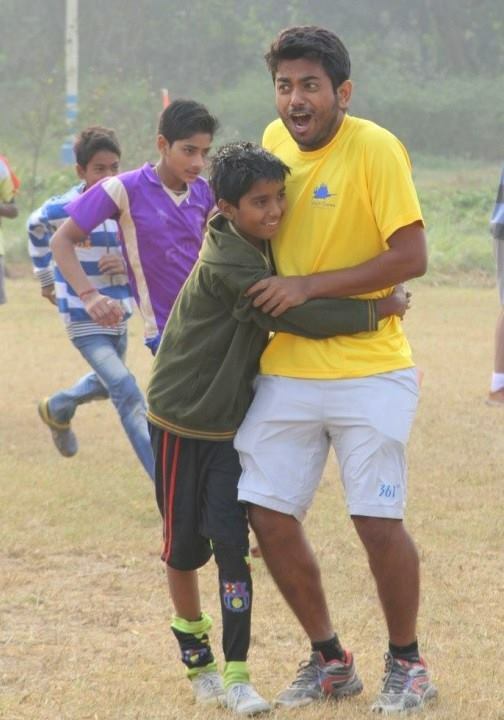 I think everyone involved felt really proud at the end of our first Bangalore Rugby Camp. We worked with a total of 216 different children, fifteen hundred bananas were smashed, eight hundred Oreo cream biscuits munched, seven hundred real fruit juices punched and god knows how many oranges pealed over the 6 days. This was the first time we managed to get so many children under one umbrella. 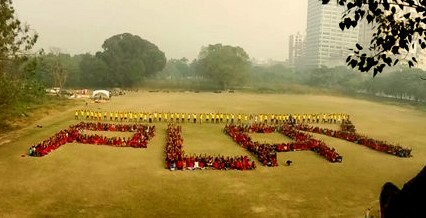 The camp took place in Sarjapura, Bangalore. Barely enough space for sixty children, the ground was packed at an average of one twenty children each day and this was a real challenge . Bangalore particularly has issues of public spaces especially for so many rugby mad children to run around and exhaust themselves. The camp would start sharp at 7am and finish at 9am. Children came to the camp from as far as 15 km to be a part of it. The ratio of girls to boys is what we are looking to focus on, for our next year camp. We want to get more and more children involved in the sport but our focus is also on more girls playing. This year we had one girl to every five boys. We know the girls love playing rugby it is just a bit more complicated to get them out of their homes and to the field each day, but we’ll work on this. 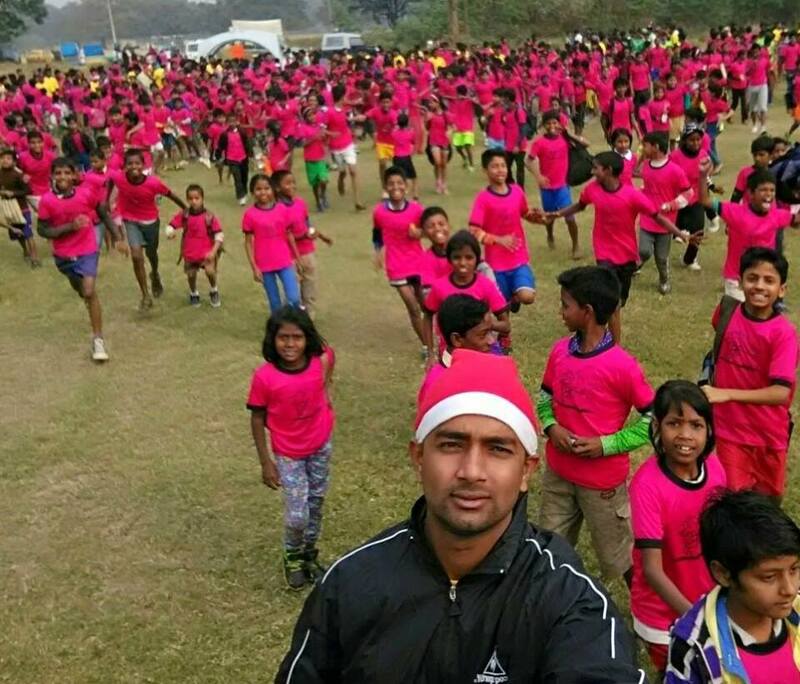 Khelo Rugby Bangalore runs its project in twelve schools, three communities and a 7am Sunday morning academy at Decathlon, Sarjapura for free as all our coaching sessions are. We spoke to a few children in the camp and asked what they thought of the camp “I am very excited. I met so many new children but my favorite was Sitara didi (Sister). 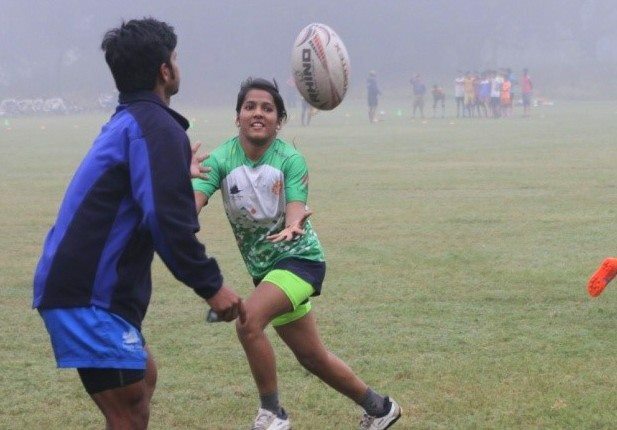 She played for the Indian National Rugby Team. I thought only boys can play for India. If I get strong and fast like her, I will also play for the Indian Rugby team. I love running” Princy Age 11. Children like her get training twice a week as a part of our school and community imitative. We are always looking to reach more and more children. We want to grow our network of sport lovers who want to give back something to the community and volunteer. We have now partnered with more groups and organisations so that we can spread our wings to other parts of the city. Many people ask us if they will have to give a lot of time to be a volunteer or take up a coaching session? Our Idea is to just give two hours a week and the difference one can make is huge. From our experience we have understood that children do not need fancy stuff. They just seek a bit of our attention and time. 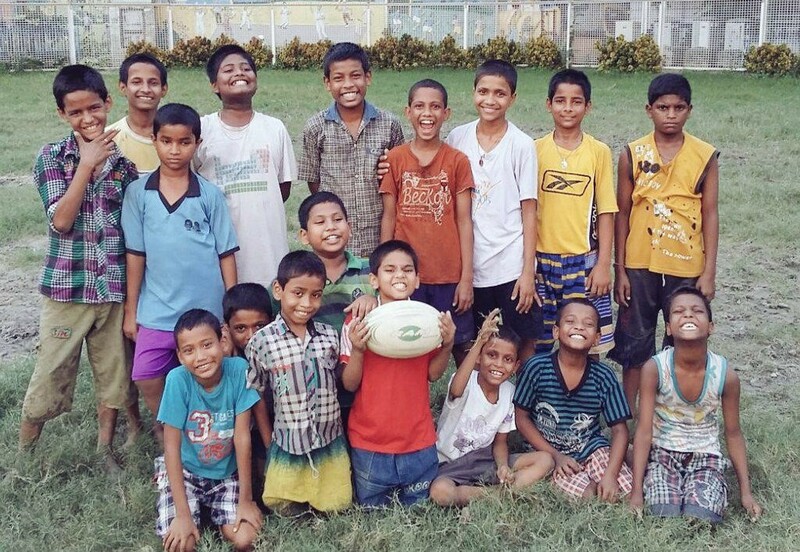 “A beautiful morning at the “KheloRugby” – Sarjapur chapter. I had the opportunity to be part of a wonderful initiative – it was the final day of a weeklong training for the children. Honestly I did not expect it to be such a hit amongst the kids. The organisers were extremely professional in their approach and the kids loved every bit of the attention given. There were some lovely girls along with some macho boys taking some valuable tips on team work, hand & eye coordination, planning and general fitness from a Professional Coach. 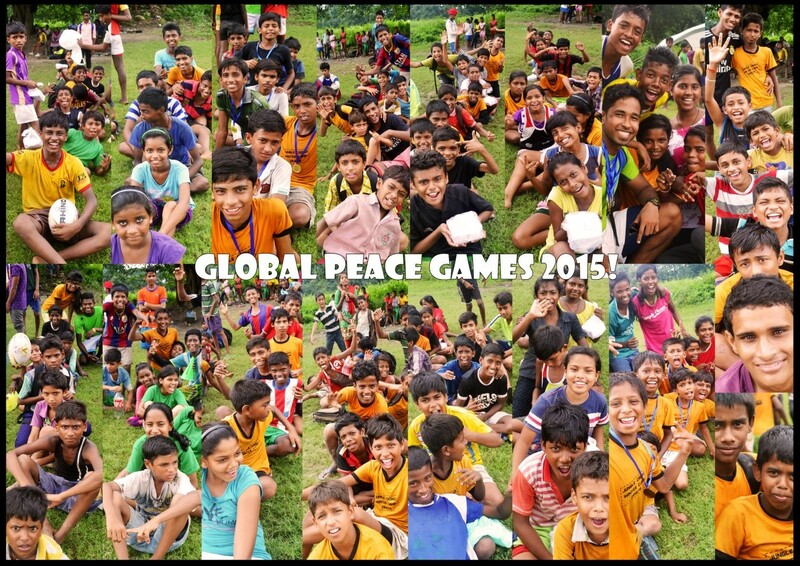 I saw some great learning imparted to the kids there – both boys and girls alike. I came into help and immediately was given the task to write down the names of the students along with their age and then transfer the same to the certificates. 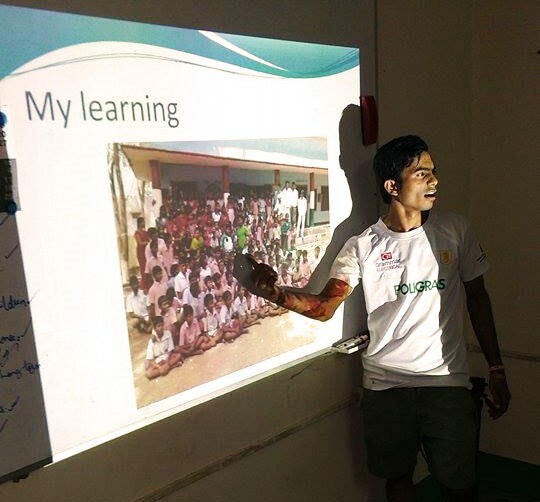 Yes, after the entire week long course, they get certified too from Khelo Rugby and Jungle Crow Foundation. The 2 hour energizing session with the kids ended with some breakfast and a special Gatorade drink for each of the participants. The last count I had was over 124 children (both boys and girls of all ages) and to manage this size is no small feat. 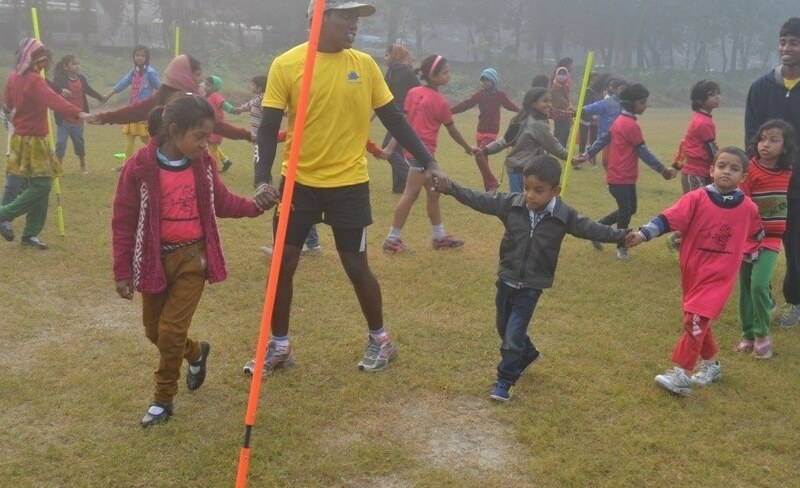 A great Winter Rugby Camp in Bangalore enjoyed by 100s of children and quite a few volunteers also. Thanks to all who supported the effort especially Cult The Workout Station and Nihil. The last three months have been incredibly busy with the Jungle Crows Foundation and we have just now found time to tell you all about what we have been up to here on our Khelo Khelo Blog! We have the most amazing team working on all our projects, which are really having a huge impact on the children we work with everyday. So it is a very big thank you to the team, but no time to rest as the next three months are going to be even more exciting. 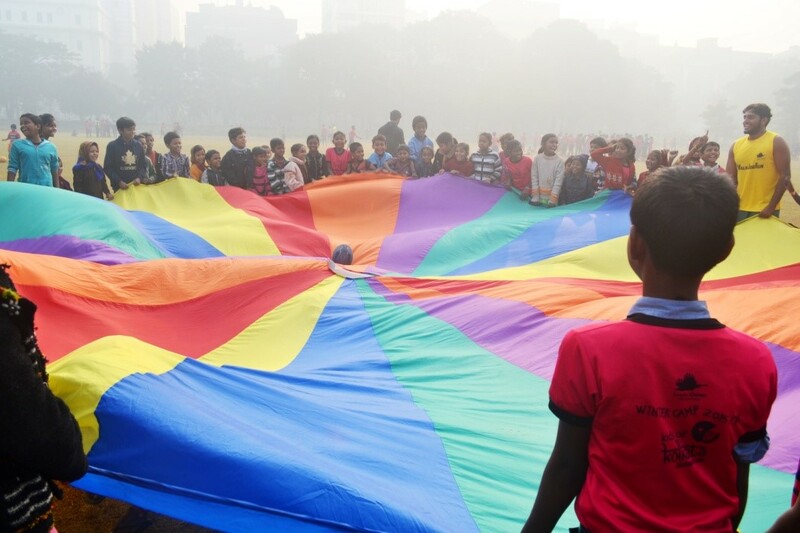 Has now expanded in Kolkata to 21 locations with more than 600 children regularly taking part in the programme. Sessions got a little chaotic as pressure from the rugby season built up, but now that is over we are getting back to normal and making sure Coaches are keeping up with their coaching timetables. The Khelo curriculum is undergoing a re-write as we learn more from our different experiences in all the locations where we work. This is a job that we can see never really ends. We are always learning, each Coach and Community brings a different dynamic, there is no one fits all solution. Conducted over three days in September (18, 19 & 20) beginning with a mini-leadership program led by Lovepreet and Akash for 20 Khelo Leaders from our Kolkata communities. Day two was a Tag Rugby Festival with the participation of 200 children from 16 different locations. A record participation of sorts! Each Senior Coach was asked to bring 3 teams minimum and they all met the targets. A fun day for all involved and good job by the Khelo Leaders in leading and organizing the event and putting some of the learning from the day before into practice. Our new communities also participated in a festival for the first time. 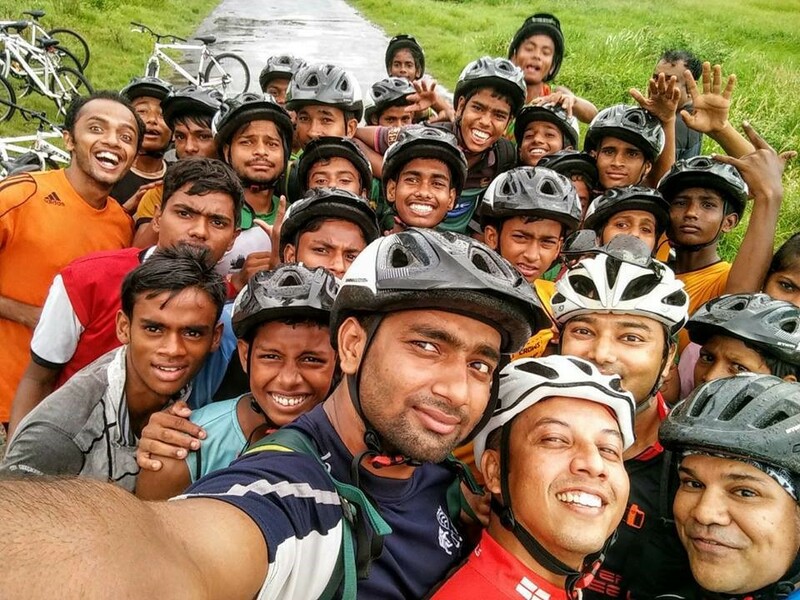 Day three was a Cycle Ride organized by Pritam in association with Discover on Wheels for all the children who had received bicycles earlier in the year from Pink Bike. Lots of ‘proper’ tackle rugby tournaments organised by the Crows, Future Hope and Bengal Rugby saw participation from most of our Academy players. We kicked off with a slightly mediocre performance in the Future Hope Monsoon Cup on a splendid looking #CrowField mind you! 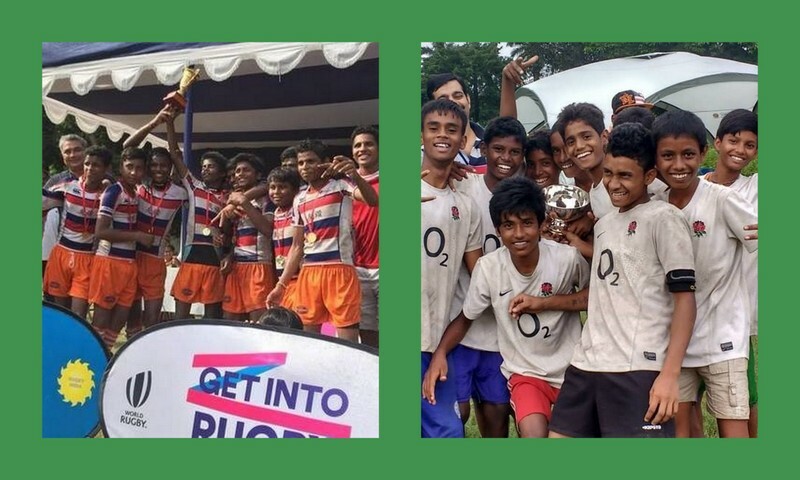 But then really picked it up with a top-notch performance in Bengal Rugby’s Under-14 tournament at CCFC where the Jungle Crows emerged Champions beating larger teams like Armenian College, KISS and Future Hope. The girls where not to be left out coming Runner’s Up in both the Women’s 10’s and Touch Rugby tournaments. 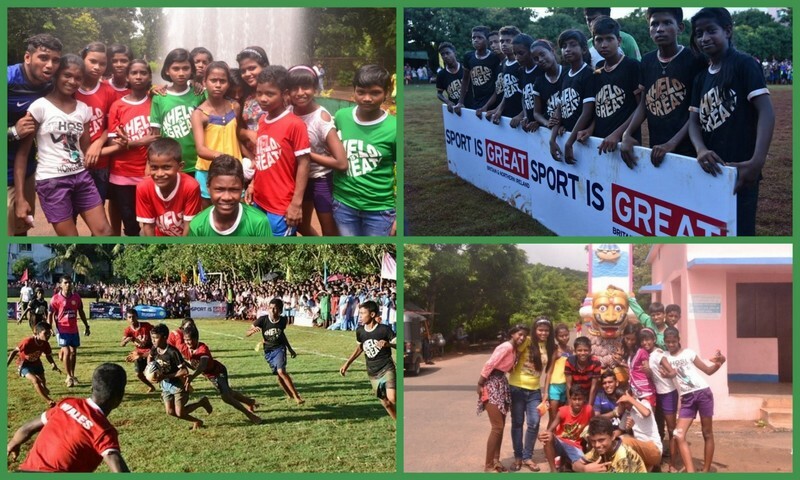 One of the highlights of the last three months was the Rugby is Great event which we organized with the British High Commission and KISS in Orissa. Ravi was sent on a one – week assignment to coach the teams and prepare for the tournament – great job by him. We also selected an Under-13 team from Kolkata after conducting our own Tag Rugby ‘qualifier’ tournament. 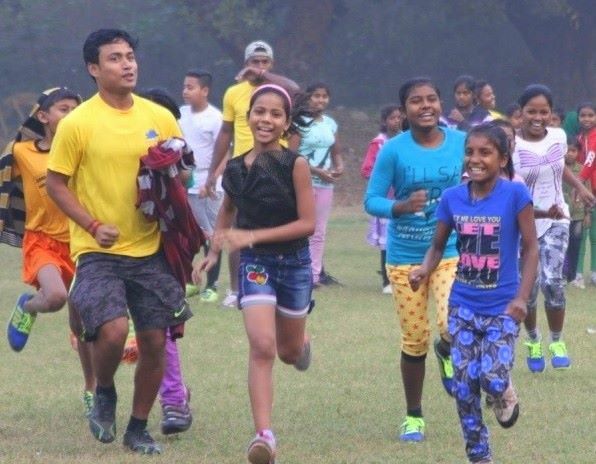 A 12 member team comprising children from 10 different Kolkata locations set off with coaches Kameliya and Lovepreet in charge. The event was hugely successful with the British High Commissioner Scott giving away the prizes and loads of newspaper coverage. Home team KISS emerged well deserved champions while the Khelo Rugby team were runners-up. The final was pulsating and an excellent display of rugby pre the Rugby World Cup! Our event to mark UN Youth Day saw our Khelo coaches taking on a theme and engaging with the children from their communities to come up with posters, art work or displays on those themes. Themes included Environment – Ravi, Child Rights – Kameliya, Khelo/Play – Tiger, School – Akash, Hygiene – Deep and Equal Rights – Lovepreet. Before going into the communities each Coach had to make a presentation on their theme to myself and Paul so we were sure they understood and had researched their topic. Plenty of guests turned up on the day and the children guided by their Coaches came up with some really interesting and diverse work ensuring the event was a good one. 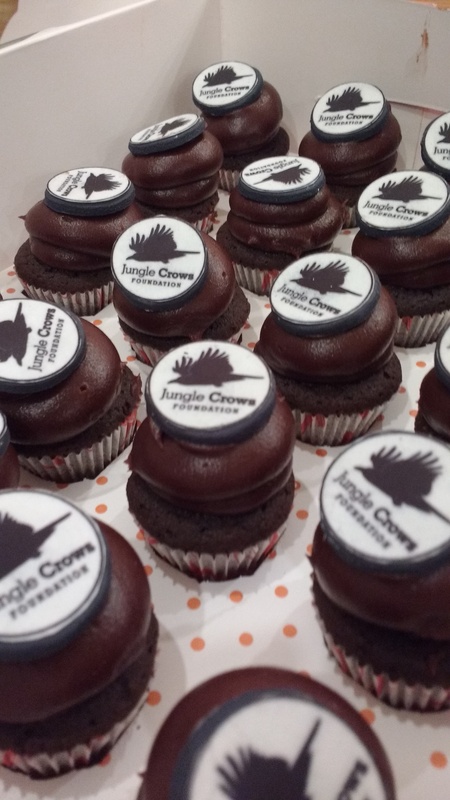 Jungle Crows Cupcakes from Mrs Magpie were a bonus for the super effort all round! 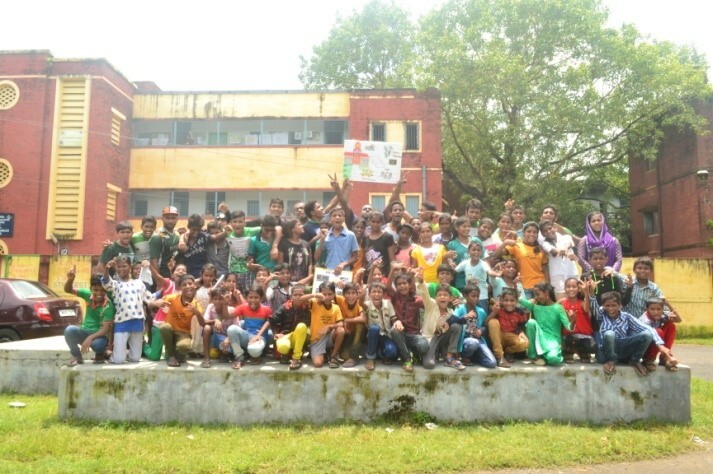 In August we were invited by the American Center in Kolkata for a film screening about girls participation in sport. This was a good chance to involve many of our girls in a different activity and let them see how other girls around the world enjoy sport just as much as they do. 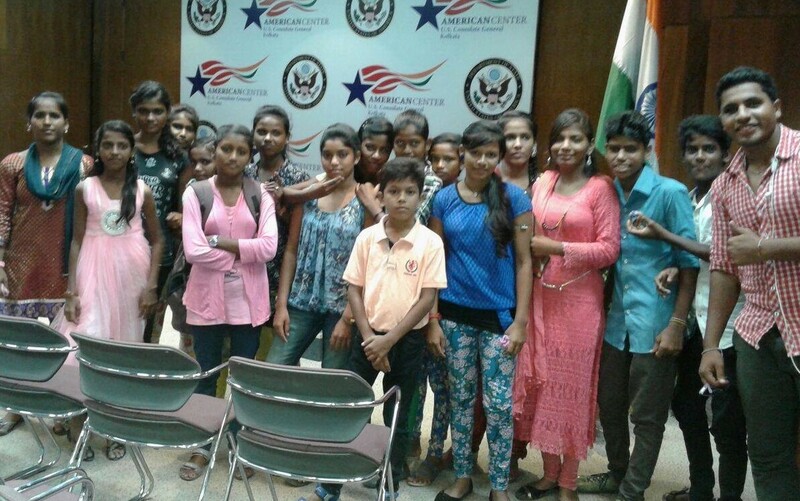 A total of 8 of our Khelo Leaders have been selected for a Leadership Programme at the American Center. They will go through a 3 month training at the Center on a one class per week format. Post this they get a chance to meet US diplomats, take an internship at the American Center besides other opportunities. All the coaches were given the task of preparing presentations about their last one year with JCF and all the coaches responded in a very positive way, making presentations and surprising many with their improving grasp of the English language! 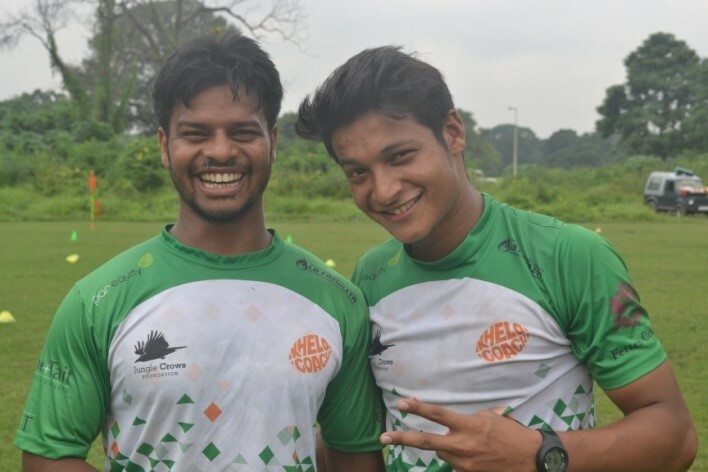 Khelo Rugby and Jungle Crows has received plenty of media attention over the last one year – founder Paul being featured in Amazing Indians show of Times Now, we were on BBC World TV, on the Award Winning Scrumqueens site, and articles published at Sportskeeda.